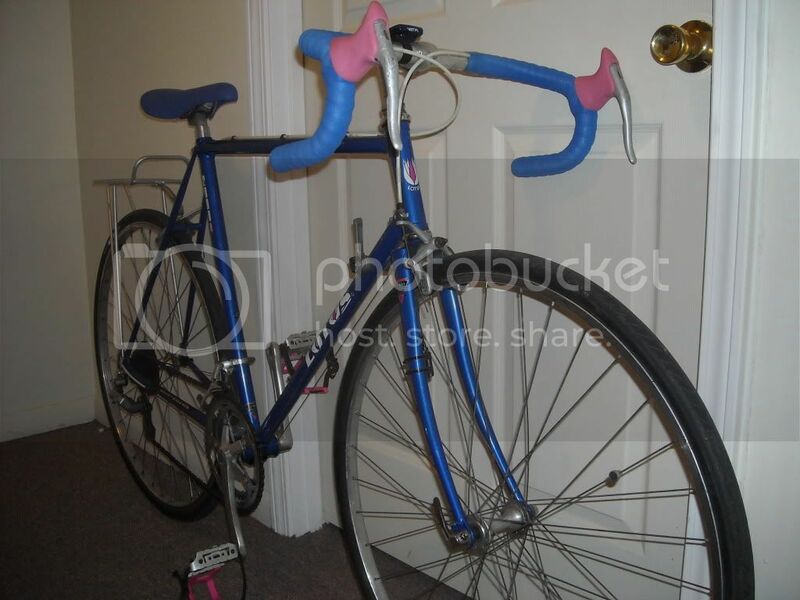 So, My dad has had this bike for years but he hasn't ridden it for quite a while and it was just hanging in the garage at his house unused. 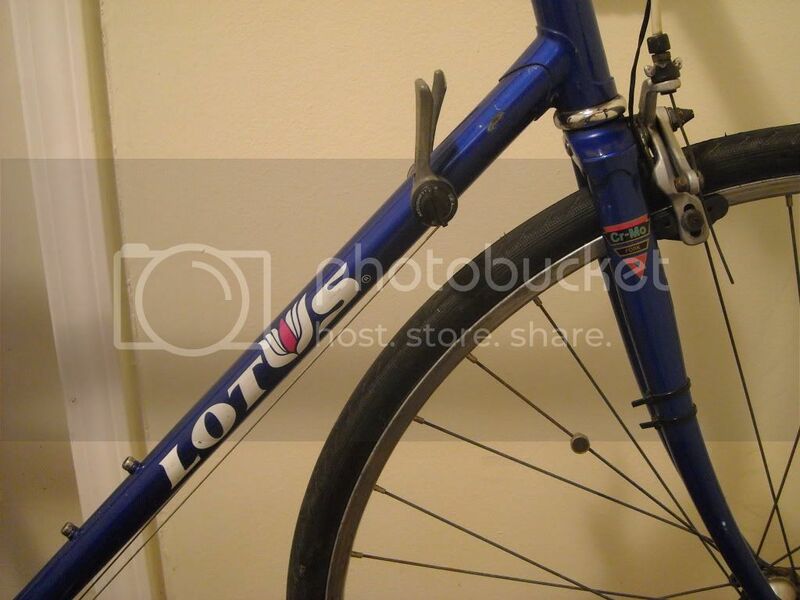 Since I needed a good bike for my 6+ mile daily commute from my apartment to my college campus, my dad kindly gave me his old Lotus. I was still fairly new to the biking experience when he gave me the bike about 6 months ago, but I have learned much about biking since. My dad has always been quite fond of bikes and has worked on them for as long as i can remember. He told me he picked this bike up at a yard sale years ago for about $25 and he fixed it up so he could use it at my grandma's house whenever we would visit. It was slightly too small for him which is another reason he let me have it but luckily it is just within my size range to fit on it. I really like this bike. 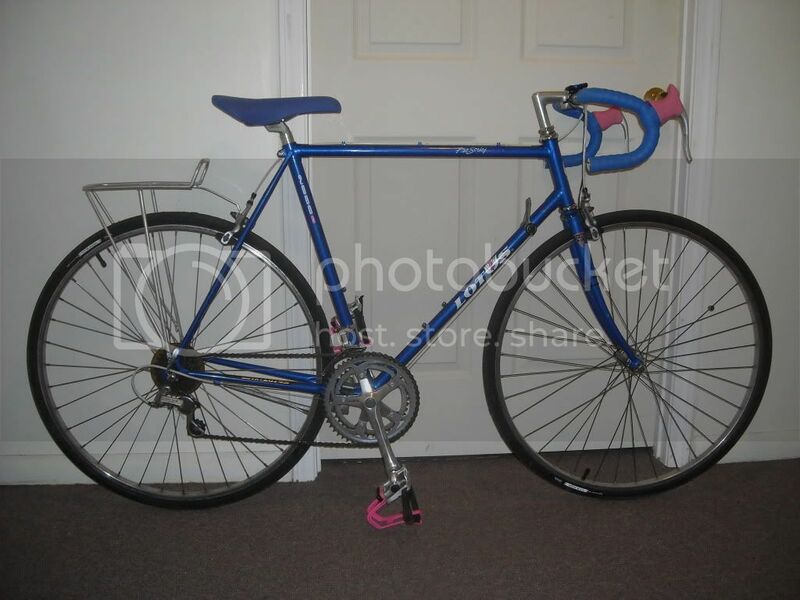 It rides smooth and has decent parts on it, but I replaced the seat, bar tape, hoods, tires, and toe clips. I also added a new bike rack to it for hauling purposes. 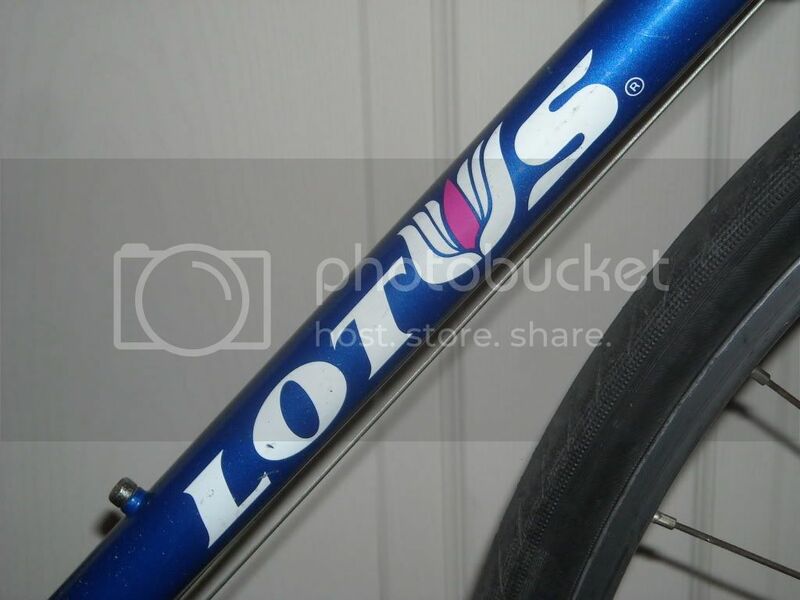 I found the pink brake hoods for $3 in the LBS used parts bin and I found the pink Specialized toe clips on ebay for cheap, so I bought them to match the pink in the Lotus Logo. 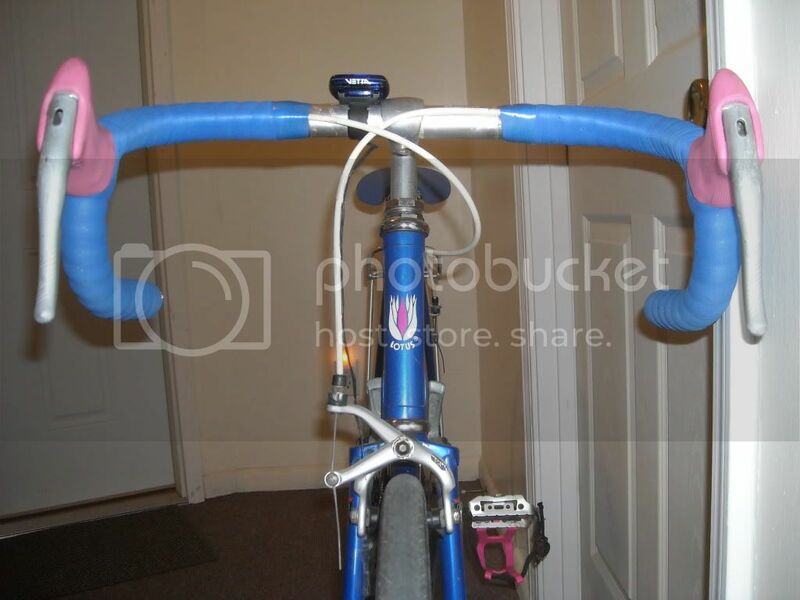 I just put on the fresh bike tape last week after my dad showed me how to wrap tape on another old bike. This bike is currently my daily rider and I couldn't be happier! Thanks Dad! Last edited by MrFizzle; 12-04-11 at 11:57 AM. 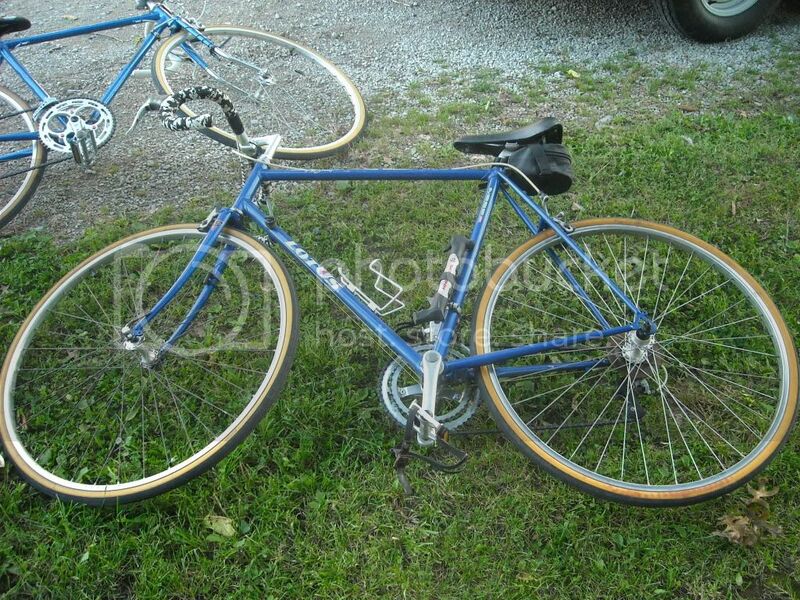 ... and I hope you don't routinely lay it down on the derailleur, as shown in the first picture. 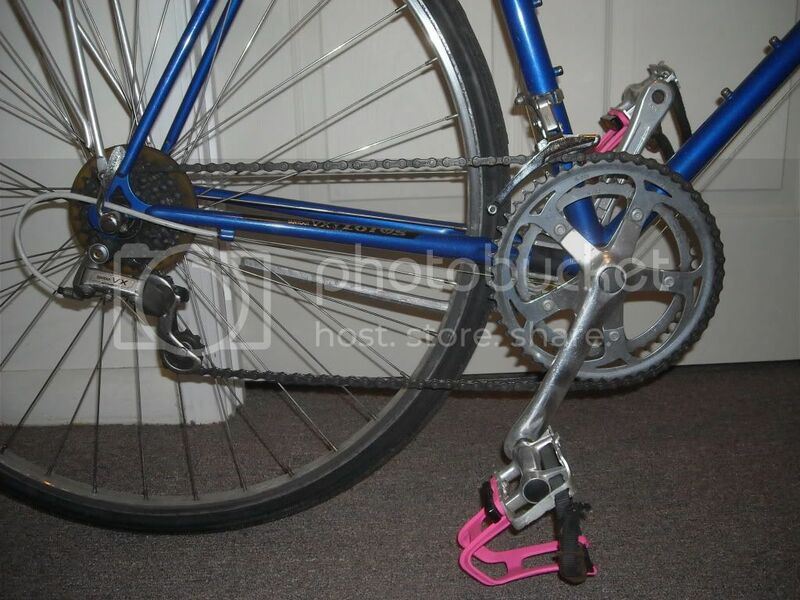 It's fairly easy to bend the dropout hanger by doing this and consequently throw the indexed shifting out of adjustment. While New Vx Accushift came out in 1990, my literature shows a slightly different color scheme. I wonder if it's slightly newer? Do you mind checking the serial number and component date codes? That one looks different than all the other I have seen. They all had a hard plastic cover on the crank arms. Thanks for the tips guys! 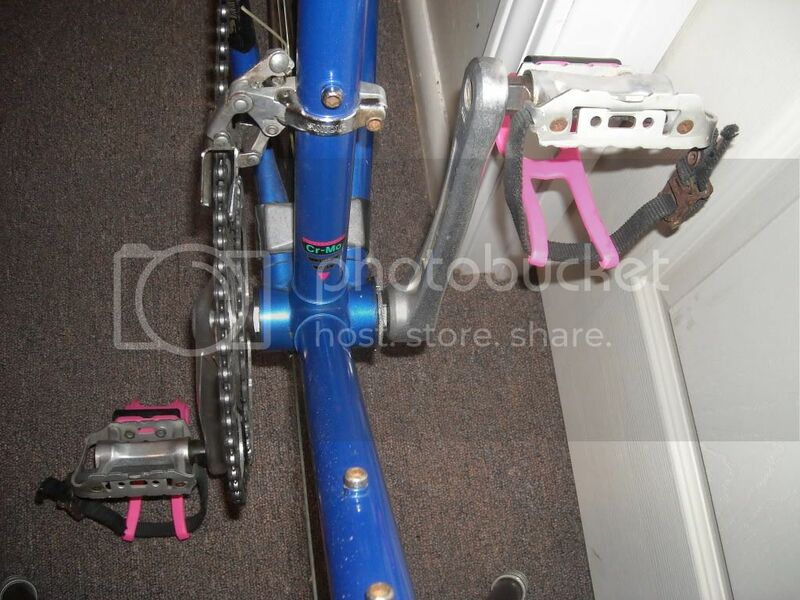 I have a pretty hefty Kryptonite U-Lock and cable that I use to lock the frame and both wheels every time I leave it unattended. 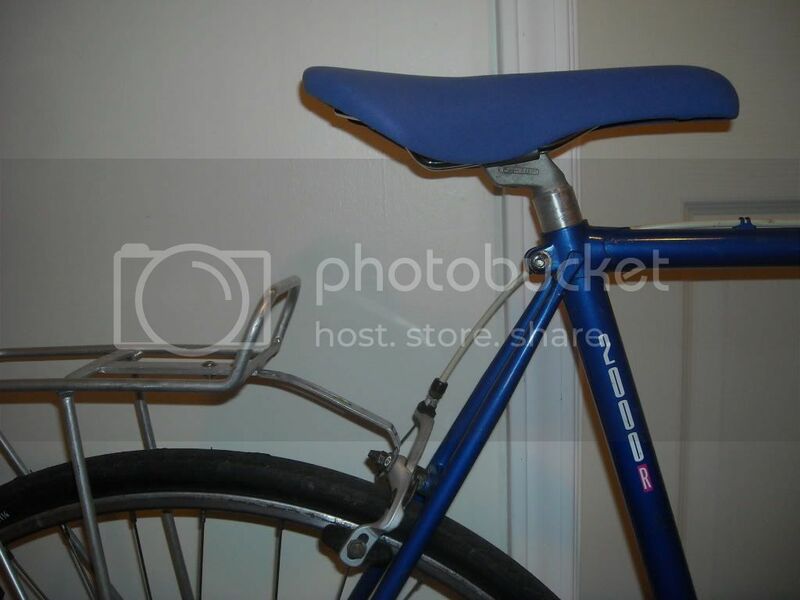 I also replaced the quick release on the seat post with a hex bolt so that it would be harder for steal my seat. I also store it inside my apartment every night and never leave it outside for really long periods of time. 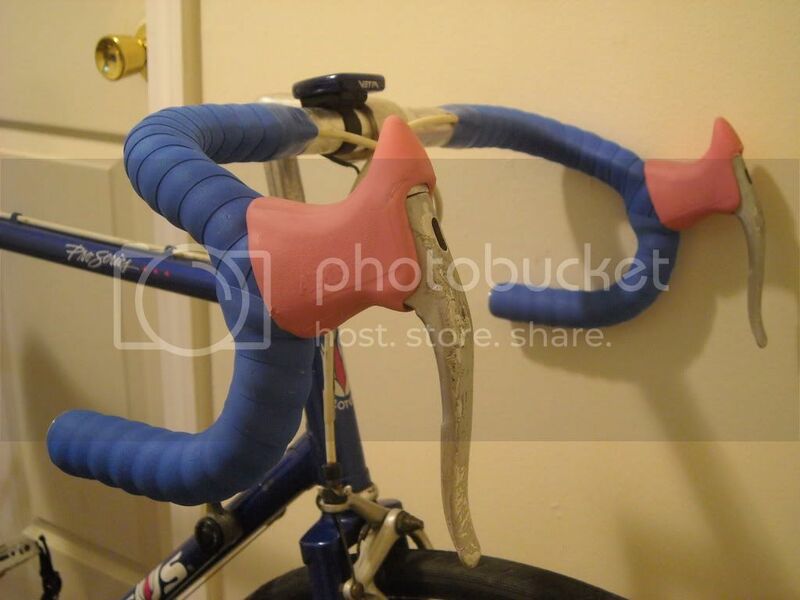 Also, I haven't layed the bike down on the ground like that since that first picture and I'm really careful not to scratch the paint for any of the components. I checked the compontents for date codes and it turns out it is actually a 1991. The newest compontent has a date code that reads April 1991. I'll edit the post to reflect the date. Last edited by MrFizzle; 12-04-11 at 12:21 PM.